Multipath occurs when there is a large barrier with several openings in it. The barrier might be either a series of building near the transmitter or a mountain range a short distance away. 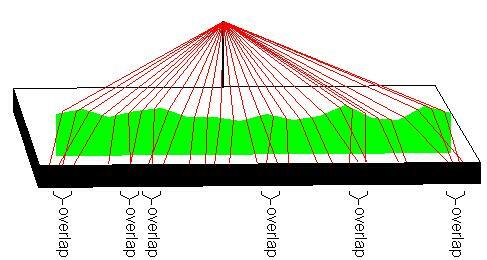 Multipath can also occur when the terrain between you and the Transmission tower is mostly flat. 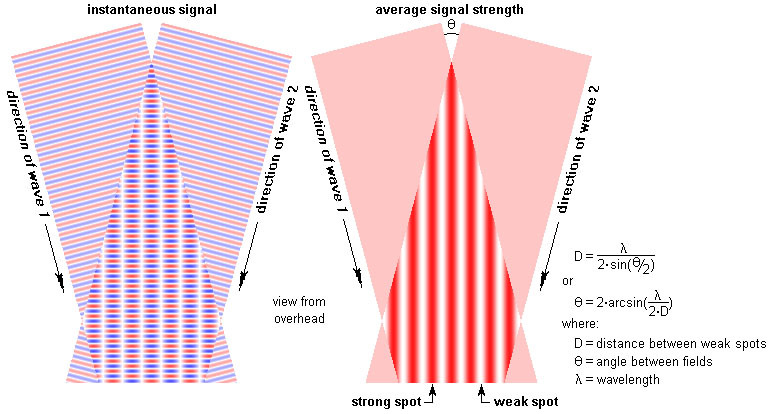 Often TV signals are angled downward slightly, usually the result of diffraction over an obstacle in the distance. 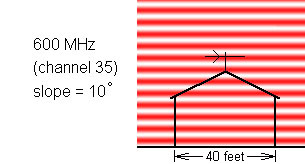 If there is mostly-flat ground in front of the antenna, the ground reflection can be efficient. The result is a striped region of alternating strong and weak layers parallel to the ground. The ground doesn’t have to be as flat as you might guess for these layers to form. Weeds, shrubs, and trees are mostly transparent to VHF. A surface wet from rain will usually be 100% reflective. This layering problem is greatest for UHF. The distance from a very strong spot to a very weak spot can be as little as three feet. But weeds might save you. Stand where the antenna will go and look toward the ground in the direction of the transmitter. If you see weeds or shrubs or trees, you are OK. If you see lawn or dirt or pavement then you likely have some layering. When two signals cross each other you have an overlap called Multipath. Multipath is a problem with Digital TV as the competing signals can cause the signal strength to fluctuate or you may loose signal altogether. Two competing signals create a series of weak and strong spots. 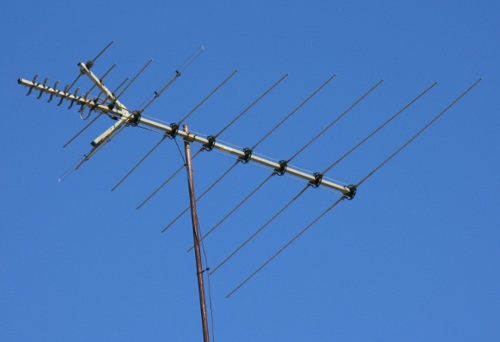 If you are in a weak spot, it might be helpful to try moving the antenna to the left or right until you find a strong spot. It may also be helpful to raise or lower the height of the antenna. Sometimes the weak and strong spots are parallel to the ground and raising or lowering the antenna may raise it from a weak spot to a strong spot. Tall Trees close to a transmitter or in the line of sight can be the bane of your television’s signal. This Tree blocks 90% of the UHF signal within 120 to 180 feet of the tree. 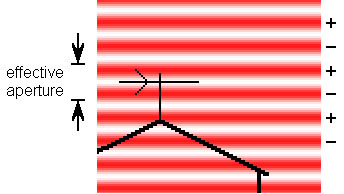 If the antenna is behind a tree, it is in overlapping fields: a weak field that passes through the tree plus a weak field that is diffracted around the tree. Overlapping fields are complicated, with strong spots and weak spots. This will be true even if the tree is not a perfect sphere. If you get a UHF antenna to work behind a tree, you will likely see dropouts when the wind blows because the strong and weak spots will move around as the tree deforms. Even in a good-signal neighborhood it is inadvisable to put a UHF antenna behind a tree. The Author of this article thanks you for reading it, and hopes that you enjoyed it.